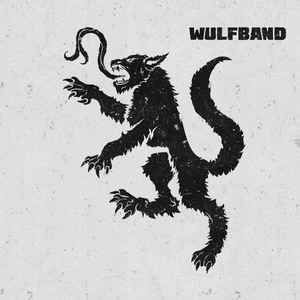 Background/Info: Wulfband is an enigmatic duo for keeping the names and faces of their members secret. 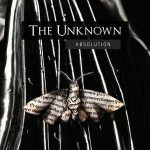 Three years ago now they hit the EBM community by surprise, unleashing a violent and successful self-titled debut album. “Revolter” is the second full length of the band. Content: “Revolter” moves on there where “Wulfband” stopped. 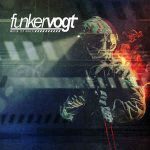 The sound remains driven by typical EBM standards (referring to the solid bass lines and linear structures), but empowered by a furious cadence reminding the good-old days of punk- and even hard-core music. “Revolter” stands for rage, which comes through in the sound and the vocal lines. The vocals are mainly sung in German, but you also will hear English passages and even a song featuring indistinctive lyrics. + + + : Wulfband is much more than traditional old-school EBM. Next to a classical basis, which sometimes might remind you of bands like Orange Sector and DAF, they put a huge load of punk music in the composition. It’s violent, a bit sounding like controlled chaos, but more important, a band that has created its own sound. And the least I can say is that this new opus already features a few cool songs like “Mann An Mann An Mann” (previously released as digital single), “Platzmachen”, “Das Ist Musik” and “Liebe Offensive”. The bass lines are quite predictable, but simply great while some industrial sound treatments are only accentuating the dark and violent side of the band. The album reveals 12 songs full of energy and which never go over the 3 minute mark. – – – : Speaking for myself I definitely prefer their first album, which was hard and powerful, but less chaotic and less hard-core driven. It now sometimes become a little less predictable and repetitive. Conclusion: Wanted! Who’re the guys behind Wulfband? They’re like the Daft Punk’s of EBM, but one thing is for sure, they don’t compose music for sissies; this is pure hard-core! Best songs: “Mann An Mann An Mann”, “Platzmachen”, “Das Ist Musik”, “Liebe Offensive”.